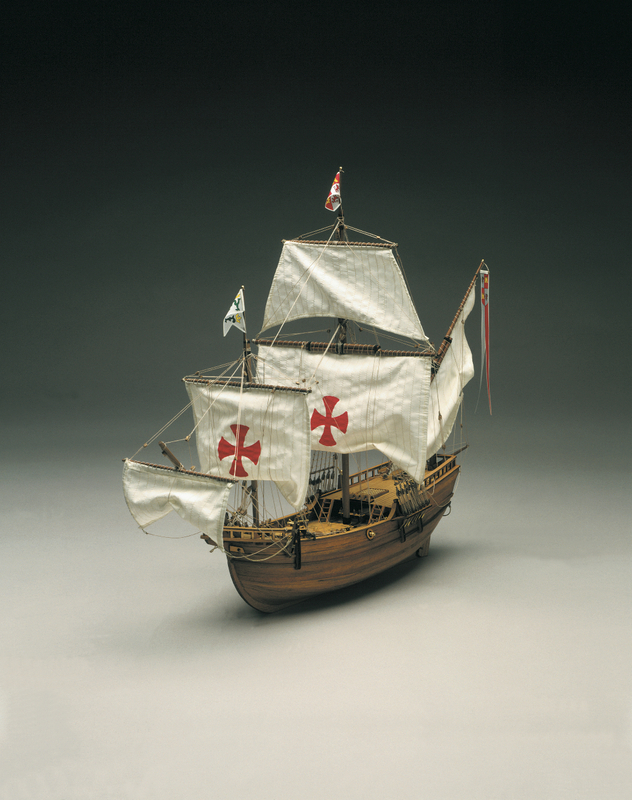 Third ship of Columbus' expedition, Pinta was a square sails caravel. The sails consisted of a square foresail and great mainsail, while the mizzenmast, supported a long yard for lateen triangular sail. It had a poop quarterdeck and, unlike the sister-ship Nina, also forecastle. The Pinta was the fastest of the three ships, confirming the logbooks, which indicated that this caravel was during the voyage often ahead of the two other ships.